These days, the Internet of things (IoT) has densely entered into the lives of billions of people all around the world. The increased use of IOT Technologies has given birth to many security problems, causing physical harm to people before downtime and equipment damage. A good number of such objects and IoT systems have already been attacked and significant damage was inflicted by hackers and thug elements. So, let’s consider the latest IOT technologies that ensure web security easily and effortlessly. In today’s world, different types of online security threats have become daily life incidents. Therefore, the communication channel must be protected with encryption and authentication technologies. It’s great that new cryptographic technologies, (such as ECC-Elliptic Curve Cryptography) work ten times better than their predecessors in low-power IoT 8-bit 8MHz chips. The management of security keys helps you to verify the authenticity of data and the reliability of the channels for obtaining them. All prominent certification authorities have built “device certificates” on more than a billion IoT devices. It enables them to authenticate a wide range of devices, such as cellular base stations, TVs. Device protection is related to the security and integrity of the code. We all know that Signing the code is required to confirm the legitimacy of its launch. It is always necessary to protect the code during execution so that attackers do not overwrite it during boot time. Signing the code cryptographically ensures that it can’t be compromised after signing and is safe for the device. This technology can be implemented on applications, firmware levels and on devices with monolithic firmware images. All critical devices (such as sensors, controllers, etc,) should be configured to start only signed code. Devices must be protected in the next stages even after the doe is running. The host-based protection is ideal to perform this job as it offers hardening, delineating access to system resources and files, connection monitoring, sandboxing, intrusion prevention, behavior and reputation protection. Blocking, logging, and notification for various IoT operating systems, etc, are some main host protection capabilities. There are many vulnerabilities in IoT devices. It will take a long time to rectify this problem. Always keep in mind that the sing obfuscation in critical systems is eventually reconstructed, and attackers find vulnerabilities in it sooner or later. No service provider will like to end their employees for an in-person visit to every IoT device to update the firmware. Therefore, “over-the-air” (OTA) should be built into the devices before they reach customers and get rid of the problem. You must always keep in mind that Some threats will be able to overcome any measures taken despite the fact that how well everything is protected. So, it’s necessary to have security analytics capabilities in IoT. It will help you to better understand your network, notice suspicious, dangerous or malicious anomalies easily and eliminate them quickly. As a large number of players are involved in the IOT ecosystem (such as OEMs, service providers, cloud service providers, independent software developers, etc), all systems in the ecosystem are protected very well to foil any possibility of failures. Always keep in mind that reliable protection provides business with advantages due to the continuity of processes of interaction with customers and helps them to earn more revenues easily & effortlessly. Encryption, authentication, and manageability are needed for ensuring security to online transactions. Unfortunately, most companies still face dangerous risks. So, they make mistakes while managing keys for IoT. Online transactions worth $ 4 billion are protected by a simple and reliable model of trust serving billions of users and over a million companies around the world. This trust model helps systems to authenticate systems of other companies safely and interact with them through encrypted communication channels. The trust model today is a critical factor for secure interaction in computer environments and it heavily depends on CAs as they establish certificates in billions of devices every year. Device certificates allow professionals to check the authenticity of mobile phones for secure connection to base stations, to examine the legitimacy of smart meters for the power industry, as well as to attachments in the cable television industry. Always keep in mind that reliable CAs allow you to generate, issue, register, monitor, and revoke certificates, keys, and credentials that are needed for reliable authentication. 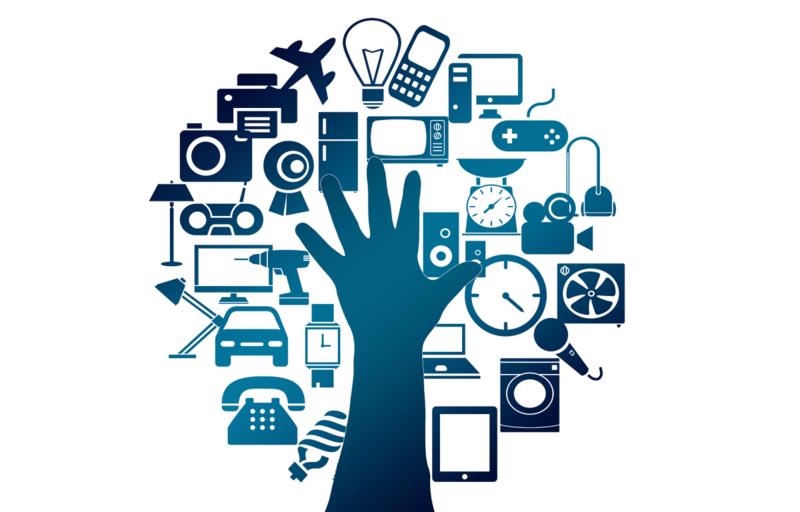 The IoT concept is based on the spread and development of the Internet, mobile technologies and social media. It aims to make the world more convenient, simpler, more productive and safer. So, the Manufacturers of consumer devices and industrial equipment, automakers and service companies, software developers, and network equipment – all are working day and night to create a huge IoT ecosystem to make human life safe and comfortable. Stephen Chong works as a writer for Fonbell Solution, an IT firm offering web-based services and Software Solutions such as Singapore Website design, Restaurant POS Software, Online Appointment System in Singapore. He would love to share the experience, knowledge, and thoughts with others on the web.